DynCorp International has received a potential two-year, $46.2 million task order to help the U.S. Air Force maintain A-10 Thunderbolt aircraft stationed at Davis-Monthan AF Base in Tucson, Ariz. The company said Monday it will continue to support the 357th Aircraft Maintenance Unit’s ground attack jets under the Davis-Monthan Contract Field Team order. 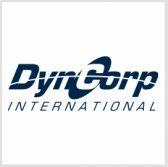 Connie Green, contracts manager at DynCorp’s DynAviation business, said the company will help the service branch modify and sustain the A-10C fleet. The order, won through a recompete, contains one base year and one option year. DynCorp helped maintain A-10 fighters as the Air Force’s previous active-duty airmen maintainers prepared for transition to the F-35 platform under the award originally announced in November 2016.